50% of the City of Yarra’s domestic waste going to landfill is organic waste, including a large proportion of food waste. Why is this important? Decomposition of organic waste in landfill produces methane, a greenhouse gas with 28 times the global-warming potential of carbon dioxide. 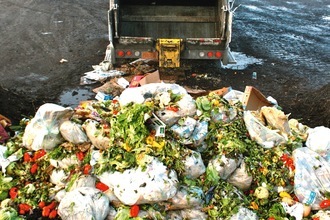 Objective 1 in the “City of Yarra Waste Strategy 2014-18” is to ‘work towards eliminating organics from waste stream’. Current actions will not achieve elimination of green and food waste from Yarra’s domestic bins. We are campaigning to get Yarra City Council to develop an effective municipality-wide strategy for domestic food waste disposal as a matter of priority. Please support this campaign and sign our petition.